It is her fault! At least that’s what Stevie Sauvage believes. She causes the fire that burns her family’s hotel and gaming parlor to the ground, forcing her family to search for the treasure her great-great grandmother buried. The voyage results in their vessel being caught between a vengeful pirate and a stubborn merchant captain, which leads to her eight-year-old twin siblings being kidnapped and turning her and the rest of her family into pirates to gain the children’s ransom within one month’s time. 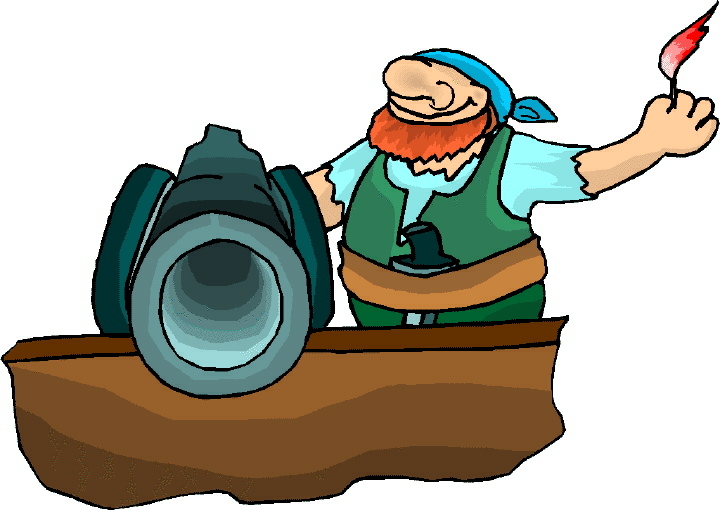 The foolhardy plan to steal the Seeker and deliver the ship to the pirate seem doable since most of the crew are ashore . . . until she finds a handsome man bathing in the galley. But failure isn’t an option, not if she wants to save Jacqueline and Julian’s lives. Determination stiffens Stevie’s resolve and she makes the naked man a prisoner. Several days before someone pounds on the abbey door late at night, a Jamaican white witch warns Sister Eva about a darkly shadowed man carrying a sick child. When the knock comes in November 1814, Eva opens the door to Captain Gamponetti, whose menacing manner and expectations of immediate obedience frighten Eva. But she is a healer and if her assumption is correct, the young girl suffers from contact with the deadly Manchineel tree. Saving her requires Eva to first bring down the fever. This necessitates a journey, with the daunting captain and her patient’s brother, to nearby caves where the cool pools of water will bring down the girl’s temperature. Once a pirate and now French privateer, Drago Viteri Gamponetti is a condemned man – not by the law, but by his own heinous deeds. Although Jacqueline and Julian are not his children, they are his responsibility until he can return the twins to his friend and their uncle. First, he must rendezvous with the trader who will purchase his cargo of sugarcane and then he must meet with three French agents. He hopes this will be his last mission for King Louis before he will finally be permitted to pursue a more legitimate line of work. The witch appears on the road to the caves and warns Drago that the time to choose approaches. If he makes the wrong choice, he will die. His only hope is a beacon of light, but salvation will come only after he betrays an ally, breaks a vow, and helps an enemy. She also slips Eva herbs to make tea to help cure Jacqueline and to make Drago do Eva’s bidding. Before she can inquire into the specific herbs, the witch vanishes. Eva is reticent to give the tea to Drago, but he has a ship and she needs transportation to New Orleans as soon as possible. A dying Frenchman seeking absolution has revealed that the French king has sent agents to steal sacred relics from the cathedral. She is determined to prevent this, even at the risk of her own life. Setting foot in the city could bring her face-to-face with the man who tried to kill her ten years ago for losing a precious map. After Drago drinks the tea, a compromising comedy of errors ensues and he pledges to take Sister Eva to New Orleans. This doesn’t seem to be a problem until only two of the three French agents meet with him and he must not only transport them to New Orleans but also assist in the theft of the relics. His initial reaction is to refuse, but the king has sent his trusted assassin to either bring him the relics or kill Drago and his agents. Since his soul is already doomed, Drago thinks it may be safer to betray Sister Eva rather than his king. When he delivers his cargo to the trader, Drago discovers a fleet of British warships in the harbor. He also learns the reason for their gathering and how they intend to use the sugarcane. Since he still has a modicum of conscience, he vows to prevent France’s enemy from utilizing it in their planned invasion of the United States. Nor can he endanger Sister Eva or the twins by taking them with him to New Orleans. In the coming battle 2,000 able-bodied, but untrained, men will defend the city against more than 10,000 battle-hardened, veteran soldiers. What he doesn’t factor into this decision are the twins, who refuse to be left behind. Determined to return to their family and defend their country, Jacqueline and Justin stow away on Drago’s ship; when Sister Eva cannot find them in the abbey, she and an older nun go in search of them. Which puts all four aboard the vessel when Drago sets sail. By the time he discovers their presence, it’s too late to put them ashore. They are in a race against the British invasion force to reach New Orleans first. 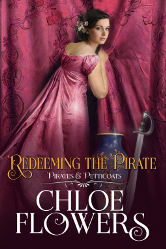 Redeeming the Pirate is a captivating retelling of Beauty and the Beast. 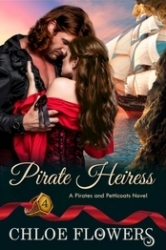 Part of the Pirates and Petticoats series, this historical romance is a poignant love story, a gut-wrenching depiction of war, and a tale of redemption. From that first knock on the abbey door to the aftermath of the Battle of New Orleans, the characters draw you into the depths and breadths of this story so we experience all their joys and pains. They make us laugh or cry, depending on how they interpret the predicaments in which they find themselves. Most authors focus on the primary battlefield (Chalmette) and final confrontation in this final major conflict of the War of 1812. While Flowers covers all the skirmishes that comprise the Battle of New Orleans, she focuses on two aspects often overlooked in or omitted from other novels. One concerns the fascines (ladders) the British intended to use to scale and overrun American defenses. While Drago’s plan to infiltrate the British encampment and destroy those fascines seems a bit naïve for someone as knowledgeable, astute, and jaded as Drago, Flowers presents an interesting and plausible reason as to why the enemy failed to implement this part of their plan. She also incorporates the British attempt to seize the American position on the West Bank of the Mississippi and turn those guns on Jackson’s forces at Chalmette, which would have led to a far different ending to the war. These portrayals permit her to vividly show us what it might have been like for anyone taken prisoner by the British and how sometimes the intervention of a divine source often makes the difference between success and failure. Redeeming the Pirate is one of the best romances and historical novels I’ve read this year and I highly recommend it. It is also worth noting that Flowers will donate 15% of her book sales to the National Breast Cancer Foundation.